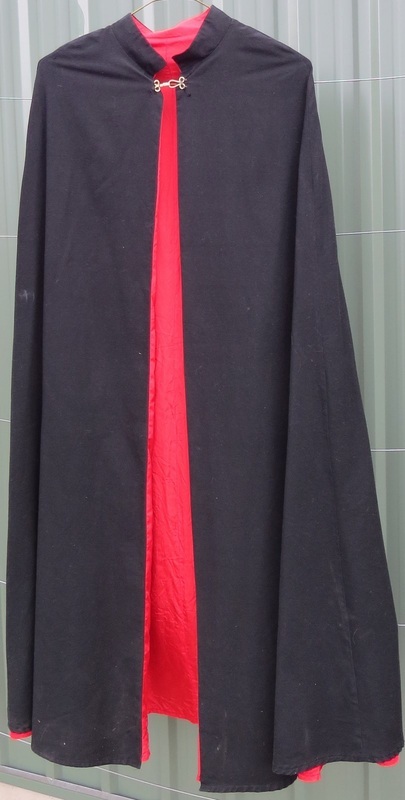 Ccot2 Black cape with red lining. Best suited to young teen, as the shoulders are narrow; max 86cm around. 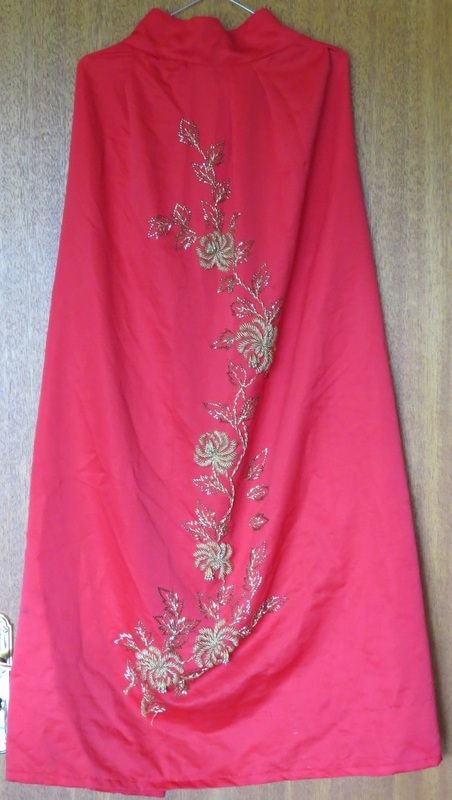 Length 123cm. Goth, Halloween, photo booth. (Washed after the photo was taken.) $15. 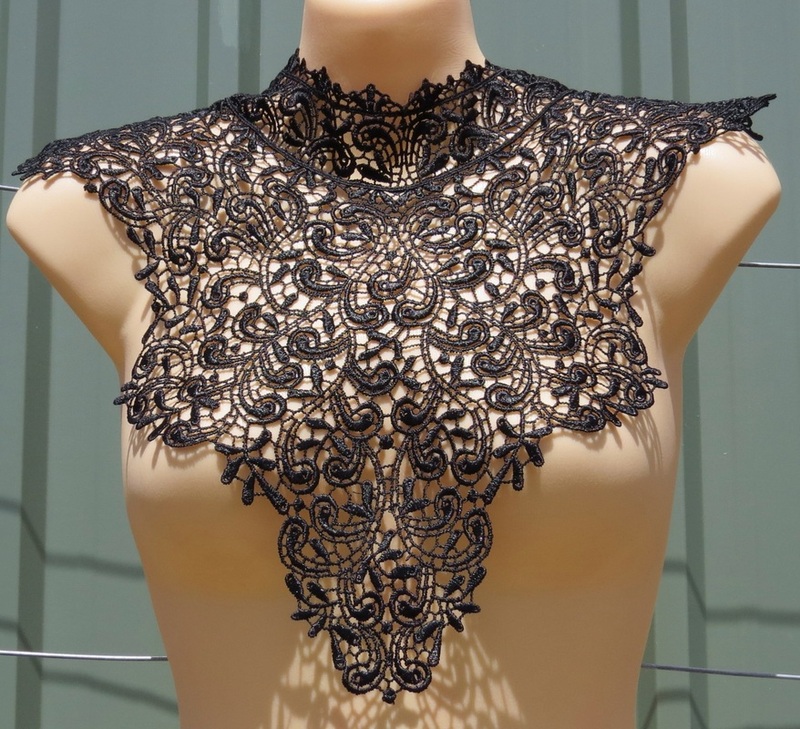 Cnyl2 Recent black lace collar, to dress up anything. $5.